You are currently browsing the monthly archive for February 2014. A lucky few that are subscribed to my blog somehow have probably noticed the reviews that have popped up here recently. I’ve been reluctant to start blogging again because private life has been more exciting than library life in a lot of ways, and I talk about that so much on Google+ that it seems silly to blog it too. However, library life has had some golden moments in the last 6 months. I attended the Pacific Northwest Library Association’s Leadership Institute in October of 2014. It was held at Fort Worden in beautiful Port Townsend. The weather was beautiful. I can’t talk about what they do in the conference, but it was very helpful and I feel so much gratitude towards my group and mentors for their help. Here’s a few pictures to distract you. The second picture is of my folding bike. Chris and I sailed to Port Townsend and I rode my bike down to the Ferry to Edmonds, which was a grand adventure. One view of our fancy new desks–fab models, no? Straight on. The desks go up and down–very space age. Hopefully I will continue to find interesting things to say here. Thanks for reading. This series is just as entertaining as Carriger’s adult romances, minus the romance and raunchiness. It has a good bit of snark that her readers will find endearing, and a smart girl protagonist that really leads the show. Set in an alternate steampunk history with floating finishing schools and a mysterious communication device that somehow runs without wires, Etiquette & Espionage hints at being a prequel to the Parasol Protectorate series. I love Sophronia. This will be on my 2014 Book Talk list for my next school visit. 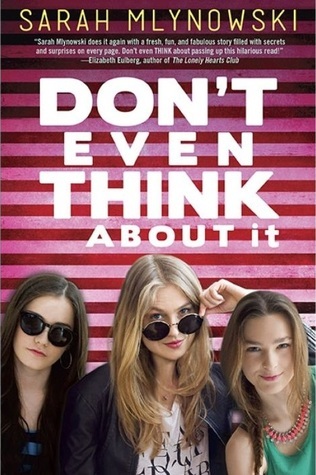 This book is not your typical fluff/mean girl/chic fiction, which is what the title lead me to expect. Most of Homeroom 10B got the flu vaccination at the nurses office during lunch one day. By the next day they were hearing everyone’s thoughts, but even better, they could communicate with each other mentally. Was it a cool talent or a cruel joke? For each of them it meant something different. I enjoyed the humor and the diversity of the characters (although actual racial diversity was one thing that could have made it more interesting–I think one character was described as dark skinned). There’s the mean girl, the know it all, the shy girl, the nice boy, the jock, the sleazy boy. They’re well written, believable and you can see how telepathy makes them better people and more understanding of others. There’s enough sexual references to make it deliciously bad, but not so explicit to make it too scandalous for most teens.